Did you know about the plethora of awesome Custom Apps ready for you to install in Agile Central? These apps give you the power to view delivery metrics in new ways, easily communicate progress, and even automate data updates. This page is your guide to the most popular apps to install and try in your Agile Central at no cost. These apps have been created by various folks, including CA’s Technical Services and developers who are passionate about helping Teams succeed. They are not included in Agile Central’s App Catalog due to the wide variety and specialization of apps. The App Catalog is focused on the most generally applicable apps, whereas these apps are more specific to unique situations. If you are inspired to create your own apps, the Rally App Builder makes it easy to quickly start your own app from scratch or fork one of the apps below to enhance them. CA makes each of these applications available to you subject to the terms for Beta Products set forth in the SaaS Listing for CA Agile Central and to any additional terms included with such applications. By accessing or using the applications, you agree that these terms for Beta Products govern your access to and use of the applications in conjunction with CA Agile Central. You can add an app as a one-off for a specific Custom Page by using the Custom HTML app. Instructions are at https://help.rallydev.com/use_apps. In short, you add the “Custom HTML” app to your page, then copy-paste the app’s HTML code into the app, and Save. This app is the chart equivalent of the Custom Board and Custom List apps. Pick a chart type (pie, bar or column), an object type, and a field to be aggregated and gain insight into your process via the generated chart. Use the advanced filtering control to further slice and dice your data. The data is also exportable for more fine grained inspection. View your defects by resolution to determine how many require code changes versus user education. View your stories by estimate to see if story sizes are generally too big or too small which would indicate the team should recalibrate their sizing. View your features by investment category, aggregated by story leaf plan estimate to assess how you’re spending your time across your portfolio and adjust accordingly. Cumulative Flow Diagrams (CFDs) are amazing ways to view your Team’s flow, and are available in Agile Central for iterations, releases, milestones, and other buckets. This app lets you further customize CFDs by choosing the type of item to track, the field you want to group by, and even the timeframe for the chart. Note, this cannot be used in on-premises installations. Manage scope: As your scheduled work item bars become level, it is easy to see when excess work is added to a timebox. If the level of the bars do not remain uniform and instead continue to increase, you need to re-address the scope of your timebox. The Cycle Time is the time it takes for a work item to get from one state to another. Traditionally in Agile Central this is shown as a column chart - https://help.rallydev.com/cyclelead-time. This app shows your cycle time data as a scatter plot so you can view the distribution of cycle times and explore outliers. Inconsistent cycle time will cause inconsistent delivery, so flow-based Kanban teams will love this chart as a way to identify deviations from their standard cycle times. The app includes percentile lines, and you can dig into the most inconsistent cycle times to identify root causes and improvement actions. This app may not look like much, but it’s a highly powerful tool to easily convey information to you, your Team, or stakeholders. Simply set a sentence of text, and a query, and this app will show you if there’s any items that match your query. Create a data validation page to check for issues, like stories that are in progress with no estimate, or defects that are closed with no resolution set. Make a release dashboard that tracks items like open defects and how many features are still open. Report on your Team’s working agreements, like the size of your backlog if you’re trying to keep it reasonably groomed and the total number of items in process. Many users like to put this app next to a Custom List that also shows the items that match the query so you can see the details. When planning future iterations for your team, you might be curious about the past throughput to see how you're doing. The Work Item Throughput app gives you the opportunity to see user story and defect throughput for past timeboxes to help make decisions for future planning. By choosing between Count, Plan Estimate, Task Actual Total and Task Estimate Total for the way of measuring weekly throughput, you can use this as in retrospectives to determine what impacting your team's throughput and help determine how much work to plan for in the future. If you’re looking for an easy way to visually determine the remaining capacity for your team members, the Team Capacity app is for you! Once your team has added capacities for each member with the Track -> Team Status page, you can use this app to see your team’s capacity and utilization by project and iteration. There is also a Refresh button to allow easy edit of task assignments from other sources and redisplay status. This app is an easy way to see team load based on capacity and task estimates. This is a vital part to any team’s dashboard for teams that value tracking individual capacity. This will also help you ensure you don't have any overloaded team members which could result in burnout and poor morale. Average Daily In-Progress - This is an indication of WIP (Work In Progress). It is the ratio of the average of the work items in the in-Progress state on a daily basis. Last Day Acceptance Ratio - This indicates whether teams met their commitment, assuming work items have not been removed from the iteration. Check out the GitHub page for this app to see all of the metrics you can measure! By comparing various metrics for iterations, teams can work to identify areas for improvement and things that went well. There are many metrics you can look at for each iteration to help your team check out if your iterations are healthy or not. You can now easily facilitate Iteration Retrospectives, getting to action items to improve your Team’s performance. Retrospectives are a vital part of any agile Team and helps the team inspect and adapt their processes to be constantly improving. Add this app to a page to take notes during a retro about aspects of the iteration that were great, or that could have been better. Finally, track the action items, updating them in the future as they’re completed. All information is saved on the Iteration object for later reference and can be accessed by everyone. Distributed Teams will especially value seeing retrospective notes and actions wherever they are. The Team’s ScrumMaster can lead the retro via video conference while taking notes in Rally. You can even add other apps to the same page to make a one-stop hub to view an iteration’s performance and takeaways. As you prepare for release, it’s crucial that quality is maintained and meets customer expectations. 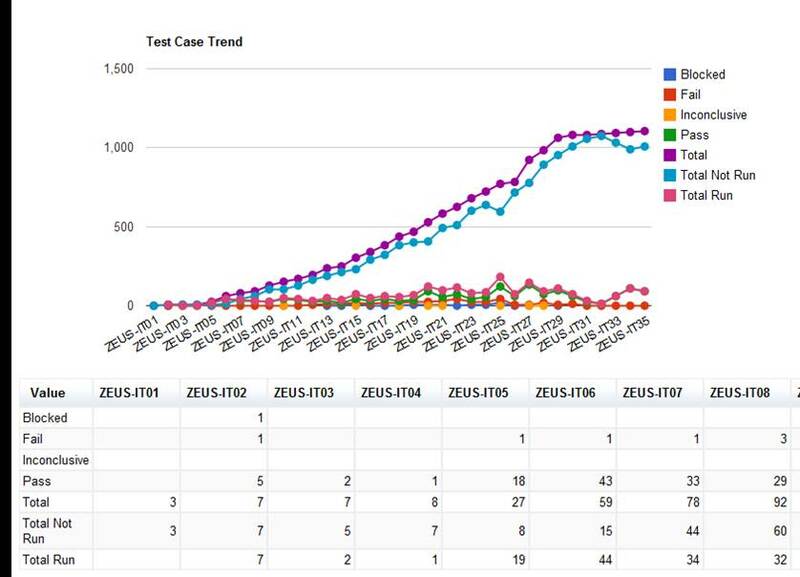 This app tracks your release by iteration to show how many test cases have been run, and what the results are. Each iteration in your release will have more and more test cases run, and this app will show you the status of each. Use this app to ensure your Team isn’t blocked on test cases, and that the run tests are appropriately passing. It can be a great conversation piece with your Team around how quality is progressing in your release and identify issues. The PSI Tracking App is a variant of the Iteration Status Page. This app shows the Features for a specified release and allows you to drilldown to the Stories, Defects, Tasks, etc. that roll up to the Feature. This app is your command central for a Release. See exactly what’s in a release by drilling down to the smallest unit of work, or keep your tracking at the high-level features. Use this app for early warning signs from the quick metrics. It can also be a great simplified experience to get stakeholders information about a release. When trying to determine which work to start on first, many teams use WSJF (weighted shortest job first), which is a lean method for determining backlog prioritization using the cost of delay and remaining job size. The WSJF board allows your team to calculate WSJF scores based on Risk, Value, TimeCriticality and JobSize so you can determine what should be worked on first. Your team is trying to deliver value quickly and want to do a comparison of features/initiatives/etc based on the cost of delay and job duration. More information can be found here. Have you ever wanted to copy a portfolio item and all of its children? Then this app is for you! Simply select the project and portfolio item to copy, and it will make a copy of that portfolio item and its descendants, including other portfolio items, user stories (including user story hierarchies) and tasks. If there are required fields, the app will attempt to copy those fields as well. If the Release field is required for stories, the app will present the user with a drop-down box for default release to put in as a placeholder for any parent stories that are being copied. This is a great way to use an existing portfolio item as a template, or if you’re starting work on a similar portfolio item and don’t want to start creating it from scratch. This chart visualizes the change in feature commitment during a release / program increment. Features not in the original baseline will be shown "below the line" while features removed will be removed from the top. Clicking on any series will open a tabbed panel below. The 'Series' tab shows the features in the selected series. The 'Change' tab shows all features added or removed since the baseline. This will be useful to determine if changes in scope are impacting delivery of original scope. It uses the concept of a baseline which can either be based on the first day of the release or at the end of the first sprint. It’s time to save time with this bulk user utility. Assign permissions, remove permissions, and add team membership easily. With advanced filters and a custom user list feature, you can make your changes and get on with your day. If you’re the administrator of a large subscription, you need this app. You can now set up a new Team all at once, rather than updating each Team member individually. And you can process department-wide changes too with just a few clicks. Get your list of users, add them to the usernames filter, and pick your change. The refill your coffee with the extra time. Have you ever wanted to export user stories with their children? With the Custom Grid with Deep Export, you can filter for the stories you are looking to export, then export them with their children. You can use this app if you have a past or current set of stories and tasks that are similar to some new work that you are planning, so you can copy them to create a basis for your new work. If you’d like to find even more great apps, you can browse GitHub at https://github.com/RallyCommunity or use your search engine of choice to search for “Rally” and the functionality you’d like (most apps have not been renamed to “Agile Central”). Once you find an app, look in the ‘/deploy’ folder for App-uncompressed.html or App.txt for the HTML to put in the Custom HTML app. Happy hunting! Very nice and this is useful information. Till now I was using google search. Might want to add TeamLoading rather than, or, as well as, TeamCapacityGrid as it extends the app to also include the TimeSheet hours already entered to give a 'on-the-fly' loading figure that can help during the sprint to see if you are going to run out of time before you do. I'd nominate Work Item Throughput for this list as well. I found it while answering a question in the Q&A forums and I quite like it! A great central place to find really useful apps that work.